The map above shows the western section of the Royal Mile - Castle Hill, Lawnmarket and High Street. Edinburgh Castle is immediately off the picture on the left. 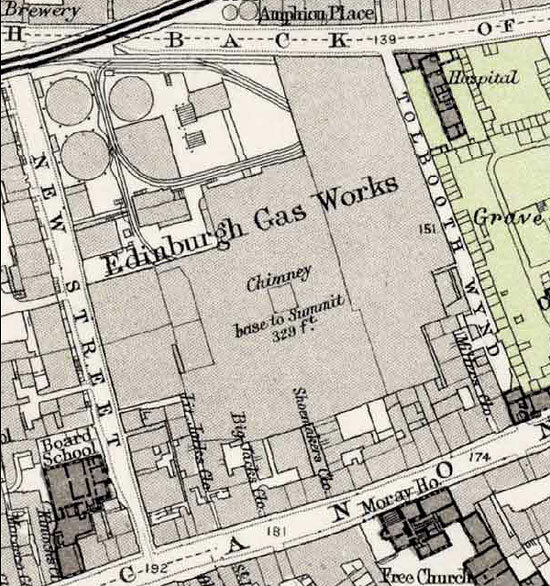 The boundary of the old town of Edinburgh at Netherbow where the city gates once stood, is in the top-right corner of this map, marked Netherbow Port. 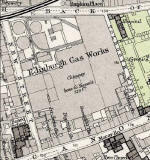 Here is a map of the eastern end of the Royal Mile as it passes through the old town of Canongate.